For information on my maps, please click here: User:Golbez/maps. To contact me quickly, leave a message at en:User talk:Golbez. I will get messages here, but not nearly as quickly. 28 Excellent maps, translation to German? 68 Round 2 of Picture of the Year 2018 is open! de: hattest du diese Kategorie Category:Maps of The Gambia schon gesehen? Hi, could you give me a date for when you created this map, please. I would like to use it in my Coursework, and need to reference it. Thanks, SWalker. Hey Golbez, I had another idea for images like this. Since both the dates and the areas are changing, it's kind of too much to look at all at once. So I had an idea that you could have a time-bar at the bottom of the image and instead of changing the date, a highlight jumps from section to section. Then less is changing each image and you can concentrate more on the area changes. It can also indicate better the length of each time period. Does it make sense? Do you think it would work? Also, if you're happy for other people to try and improve your work, it's a good idea to upload the composite pieces separately. (Well, maybe they are easy to pull apart in GIFs, I don't know.) You can just upload each piece over the other with a summary saying which one it is, then revert back to the animated one. All previous versions are linked at the bottom of the image description page. The fact that the maps move is a very good reason to keep them together by uploading them over the same image. Of course it needs dates; I would put the dates ON the timeline. I read you are considering making a similar gif to canada. You mentioned there would only be 4 steps. I think you'll find it 7/8 steps depending on dates. hey thanks I just learnt something I did know about the NT, I knew of the split SA/NT but hadn't heard of the NT/CT split and rejoining, even confirmed it here. as per Commons talk:Administrators, I am asking all admins to subscribe to commons-l, a mailing list for Wikimedia Commons policy and project discussion. Since many admins are only on Commons infrequently, this is a good way to alert people about important happenings. The mailing list is nominally multilingual, but predominantly English. The political districts themselve have no numbers, the election districts (into those they are further subdivided) do. 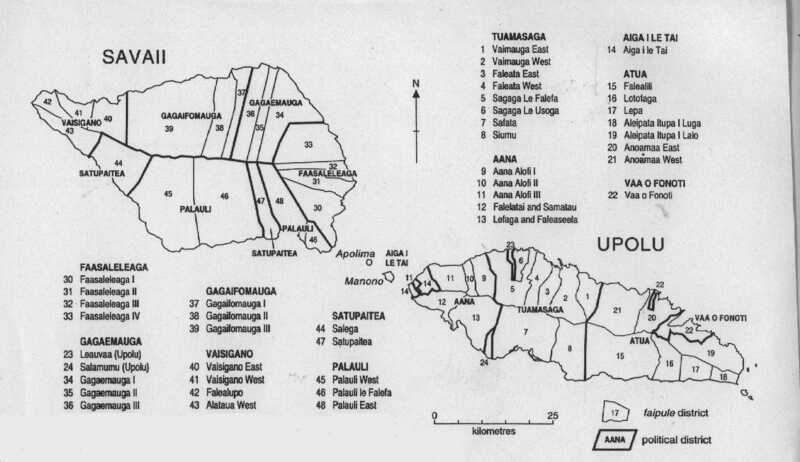 From the numbering of the election districts arises an official sequence of the political districts. For that, look at map . This is a scan of an Govt. of Samoa document (although it doesn't say it, I know it since I've seen it years ago in a library). Image deletion warning Image:Bolivia-Beni.png has been listed at Commons:Deletion requests so that the community can discuss whether it should be kept or not. We would appreciate it if you could go to voice your opinion about this at its entry. Excellent maps, translation to German? The states/provinces; I can get this easily enough from dewiki. The additional notes, like the key, explanations like "Connecticut reserve" and what happened to Kansas Territory, etc. The explanations at the bottom of each frame in the animated versions; these don't exist yet for the US ones but I plan to when I finish that list, whenever that is. Dear Golbez, please excuse the delay in my response but for quite a long time I did not log into the Commons. There are German names for some territories and provinces, but some of them are not very common (e.g. Neu-Braunschweig instead of New Brunswick or Neu-Schottland instead of Nova Scotia). The only names that should be translated are: "Nordwest-Territorien" instead of "Northwest Territories", "Yukon-Territorium" instead of "Yukon Territory" and "Neufundland und Labrador" instead of "Newfoundland and Labrador". Congratulations! Canada provinces evolution.gif, which was produced by you, was reviewed and has now been promoted to Quality Image status. The image Image:Canada provinces evolution.gif, which was nominated by White Cat at Commons:Featured picture candidates/Image:Canada provinces evolution.gif has been promoted. Thank you for your contribution. If you would like to nominate another image, please do so. Hello, I've left some notes about errors/omissions on Image talk:Mexico states evolution.gif. I can't edit animated gifs myself, and since you created the map I wondered if you could fix them. Regards, Mixcoatl 23:42, 10 January 2008 (UTC). Hi there, I also left some notes about errors/omissions on Image talk:Mexico 1931 to 1952.png and Image talk:Mexico 1952 to 1974.png, I hope you could fixed them too. Cheers, JC 15:25, 9 March 2008 (PST). Congratulations! Railroad bridge wide 2, Cedar Rapids, June 22 2008.jpg, which was produced by you, was reviewed and has now been promoted to Quality Image status. Hello, I have now more free time to involve in this issue, accordingly, I made a clean up and gave you more suitable answer here (unroll the summary box). In sum, there is a proposal waiting comments and approval, no yet a guideline. Dear Golbez. I am writing to you to inform you that because of inactivity, you may lose your adminship on Commons. Commons has a new policy on admin activity, Commons:Administrators/De-adminship, taken into use on June 13, 2007 (after a two-week poll on the proposed policy's talk page). If you want to keep your adminship, you have to sign at Commons:Administrators/Inactivity section within 30 days. Note that if you don't make 5 admin actions in the following 5 months, you will then lose the adminship anyways. File:M. Jodi Rell.jpg has been listed at Commons:Deletion requests so that the community can discuss whether it should be kept or not. We would appreciate it if you could go to voice your opinion about this at its entry. Dear Golbez. I am writing to you to inform you that you are in danger of losing your adminship on Commons because of inactivity. Hope that so day somewhere on earth we shall meet in the same friendly manner in which we have interacted online for Wiki Projects. I am very pleased with your overly friendly and welcoming attitude.Hindustanilanguage (talk) 09:11, 26 December 2011 (UTC). "MO and KY were indeed admitted to the CSA"
The problem is that they didn't secede from the Union, but the animation claims they did. If secession is not declared by the democratically elected congress--the official law makers of a state--then it does not count as the state seceding. http://en.wikipedia.org/wiki/Kentucky_in_the_American_Civil_War#Elections_of_1861 Kentucky, at least, did not vote to secede. Not only that, but they also never voted to rejoin the Union, so either one of the following must be true: A) They never seceded B) Missouri and Kentucky are the remainder of the CSA today. Since B) isn't true (by international agreement that both Missouri and Kentucky are part of the sovereign USA), the only other option is A) (unless there is a third option that I have not considered). Rational for change: Until the "new" version is completed, the current version at least needs to show factual accuracy. Rational for change: Seeing as on the "talk" page on Wikipedia for the file "CSA states evolution.gif" has the discussion "Any plans to fix the problems?" more recently than the discussion "Kentucky joined the Confederacy?" AND "Any plans to fix the problems?" was last modified almost 4 years ago (so nobody has objected to the proposed changes in 4 years), my version most accurately reflects the talk page. Actions taken: Removed the animation from the CSA page. "Animation removed until a concensus has been reached." Actions taken: Copy/pasted the previous text into the CSA "talk" page. ""as I know you'll most likely revert it again under the "3 reverts rule"" Well that's not very good faith of you. --Golbez (talk) 15:57, 12 April 2012 (UTC)"
Dear Golbez. I am writing to inform you that you are in danger of losing your adminship on Commons because of inactivity. First of all, thanks for your interest. :) I still have all the frames, yes. However, I suggest instead of the frames for that version, you look at File:Canada provinces evolution 2.gif, which is greatly improved over the original. All the frames for this one are available on Commons in . I suppose I could try uploading the Gimp XCF I used to create these as well, for others to play with. Dear Golbez, I am writing to inform you that you are in danger of losing your adminship on Commons because of inactivity. If you want to keep your adminship, you need both to sign at Commons:Administrators/Inactivity section/Feb-Mar 2015 within 30 days of today's date, and also to make at least five further admin actions in the following six months. Anyone who does not do so will automatically lose administrator rights. File:Bolivia-Potosi.png has been listed at Commons:Deletion requests so that the community can discuss whether it should be kept or not. We would appreciate it if you could go to voice your opinion about this at its entry.